Like most people in the early sixties, I left school expecting to spend my life working for someone else until I retired with the gold watch at 65. All my friends were getting jobs in offices, factories, shops etc. and my expectations were pretty much the same. Boy, am I pleased things didn’t work out that way. After 45 years, five recessions and a complete change in the employment climate, 100% hindsight tells me that it would not have been my best move. I started out working for a small firm of accountants doing audits for small companies and end of year accounts for sole traders. The work was boring and tedious, but the businesses I worked for were quite fascinating – but I wasn’t to realise how valuable that experience was for another 15 years! After 3 years of this I decided that what I really wanted to do was to fly and to travel the world, so I spent 12 years doing just that. I had a great time and sampled many countries and cultures. But eventually I decided to hang up my flying suit and return to UK and get a “proper job”! Problem – what could I do that required no qualifications or previous experience, didn’t involve sitting in a stuffy office and yet replaced the quite generous income I was used to? That proved quite a tricky one to solve. Then I bumped into a guy I used to know a few years before – he was in sales and recommended that to me. Well, I hadn’t a clue how to sell, but he said he would help so I decided to give it a try. He introduced me to a guy called Roy, who he said was a terrific sales trainer, so I went to work with them as a self-employed sales agent and, to cut a long story short, after a few weeks with Roy, I was earning commissions equal to my previous earnings. Within a year that had doubled – but the great thing was … I was completely independent and free to work when and how I chose. Fantastic! I ended up working 4 days a week, about 4 hours a day plus a bit of paperwork. This is where my previous experience in accounting came into play as I found that I also understood the important financial side of the business. 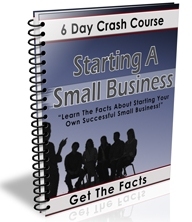 A few years later, I was asked to do some business training, including sales and marketing. I enjoyed this so much that I started my own Training Business, gaining contracts with a number of public and private sector organisations. In the mid 1990s, I saw an opportunity resulting from the de-regulation of the telecommunications industry and started my own telecom company with a couple of friends. Most of the new companies were focussing on “cheap phone calls”, but I realised an opportunity lay in the considerably underexploited world of “Special Marketing Numbers” i.e. 0800 freephone, 0845 local rate, 0870 national rate etc. We became specialists in this area of business – helped by my 18 years experience in sales and marketing. The most exciting opportunities I have seen have resulted from my interest in the Internet and World Wide Web. I have been a user since the birth of the web, my telecom business is now almost fully web based, meaning I can operate it from anywhere. We also get most of our new business via the web – at much less cost than via traditional marketing. During my time in business I have picked up a few formal qualifications to add to my experience. These include an HNC in Business Studies and an MBA as well as becoming a Fellow of the Institute of Sales and Marketing Management and a Member of the Chartered Institute of Personnel and Development. I specialise in helping the smaller business because that’s how I started and I believe that these are the true entrepreneurs of the 21st century and as such deserve help the most.